Good afternoon readers. I hope you are all having a wonderful week. Did you happen to check out my column last week about the hidden costs of dog ownership? I included some great information on the costs of raising a dog and the hidden costs that you may not think to plan for. Planning ahead when you adopt a dog or puppy is crucial, and it's something you shouldn't take lightly. One of the most important things to think about before adopting your new family member is the breed that would best fit into your environment and lifestyle. You'll need to make sure that the dog you choose is the right size, has an appropriate energy level and will fit into all the aspects of your life. You'll also need to consider the breed you are going to choose based on the breed specific legislation in your region and the rules governed by your landlord or homeowners association. “Breed-specific” legislation (BSL) is the blanket term for laws that either regulate or ban certain breeds completely in the hopes of reducing dog attacks. Some city/municipal governments have enacted breed-specific laws. However, the problem of dangerous dogs will not be remedied by the “quick fix” of breed-specific laws—or, as they should truly be called, breed-discriminatory laws. Breed specific legislation almost always targets pit bulls, the most popular fighting breed. 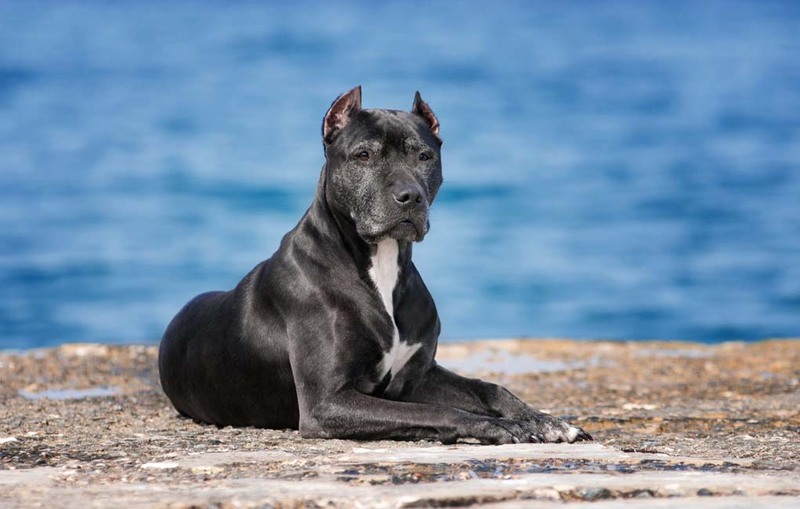 This legislation can also encompass other breeds that are closely related to the pit bull including: the American pit bull terrier, the American Staffordshire terrier and Staffordshire bull terriers. The American bulldog can also be classified within this group, because they share a common gene pool and are close cousins to the pit bull. Other dogs that are also commonly included in BSL are doberman pinschers, rottweilers, mastiff variations and wolf hybrids. Not all regions have breed specific regulations, but you can check DogsBite.org for a complete list of state-by-state breed specific laws. There is no definitive research that shows whether these restrictions actually make a city, town or neighborhood safer. Studies have not yet been done on the actual effects of these laws and regulations. Personally, I don't agree with these types of breed specific restrictions. Growing up, my neighbor had a Pomeranian that would snap at anyone that came near him, except for his owner. He would bark and carry on out in the yard anytime someone was walking by, and he bit numerous people over the course of his life. On the other hand, good friends of ours have a pit bull who is 7-years-old. They've had him since he was a puppy, and he's been around their son for the last 4 years. They've never had an issue with him, and he is one of the friendliest and most affectionate dogs that I know. He sits in my lap and snuggles with me every time we visit their home, and our son loves him to pieces. If you look at all the dog attack reports in the world each year you'll find a wide array of breeds. 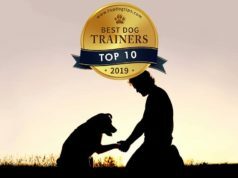 There are male and female dogs on the list every year, and the canines on the list are young, middle aged and seniors. There may be certain breeds that are genetically more prone to being aggressive, but I don't feel that way. I think that dogs are a product of their environment and a lot of their personality and character traits depend on how they are raised. I also believe that their environment and many other factors play into the instances of dog attacks. Dogs cannot communicate like humans, and when they attack we have no idea what triggers it. ANY dog can attack at ANY time for ANY reason. Is the attack brought on by internal aggression or is there an underlying cause? If your dog is having some type of internal pain or not feeling well for some reason he may be a little short tempered. My guess is that you are short tempered when you're not feeling well too. Other factors in the environment could play a role in canine aggression as well, but since your dog cannot communicate to tell you what the problem is, you may never know. I don't agree with BSL, but that doesn't mean that everyone has the same opinion. I'd love to hear your view on the subject, but please be respectful to others' opinions as well. I didn't write this article to fuel a fire or start a harsh debate. I just wanted to voice my personal opinion and get some feedback from all of you. If you agree with BSL please share why you feel that way, and if you don't, your views may still be different than mine. Do you live in an area that enforces breed specific regulations? If so, what are the restrictions that you have to follow and have they affected your family in any way? Pit bulls maul, maim and kill more people, pets and livestock animals than all other breeds COMBINED. Pit bulls were NOT bred to be pets. They were bred in England over 200 yeras ago for the purpose of killing each other in pits for the bloodsport, gambling amusement of the nasty dogmen who created the bull and terrier breed. This article is asinine. Absolute Rubbish,no Pupppy is born Vicious,it is the SCUM from the Human race that train and teach animals to be violent for that Criminal Sport Dog-Fighting,that what should be banned and the SCUM involved should be bannedand jailed for life. First correction, there are DOG LOVERS the world over who have had their beloved companion dogs mauled and / or killed by Pit Bulls that know that regulating Pit Bulls would improve public safety. There is not one single area in the US that had enacted BSL that did not meet with success. Second correction, dog lovers don’t love or support fighting breeds that routinely maul and kill other people’s dogs. Third correction, one cannot compare the bite or attack of a Pomeranian to that of a sizeable, GAMEBRED (i.e., fight to the finish/kill) Pit Bull. Fourth correction, almost all Pit Bull owners say their Pit Bulls are friendly dismissing the fact that it mauled or killed many neighborhood pets as they do not believe that aggression directed at an animal is.. well, aggression. Think Rachel Ray, who still advocates Pit Bulls despite her own leashed Pit Bull in the hands of a professional dog handler ripping the ear off of a passing dog. Correction five, the genetics of aggression is a proven science, “feeling” that it ain’t so is denial of reality. The world is not flat and the moon is not made of cheese. Correction six, raising, training, socializing, kisses and hugs don’t remove the genetics of a dog, they are born with them and they will die with them. Correction seven, any dog can attack at any time for any reason BUT they don’t, Pit Bulls do. Correction eight, human aggression, dog aggression, animal aggression, MEDICAL (pain) aggression, prey aggression, etc., are all different types of aggression and not possessed by all dogs. Correction nine, it is not BSL advocates that need to be told to be respectful, no foul language, no swearing, no personal attacks and no flaming.